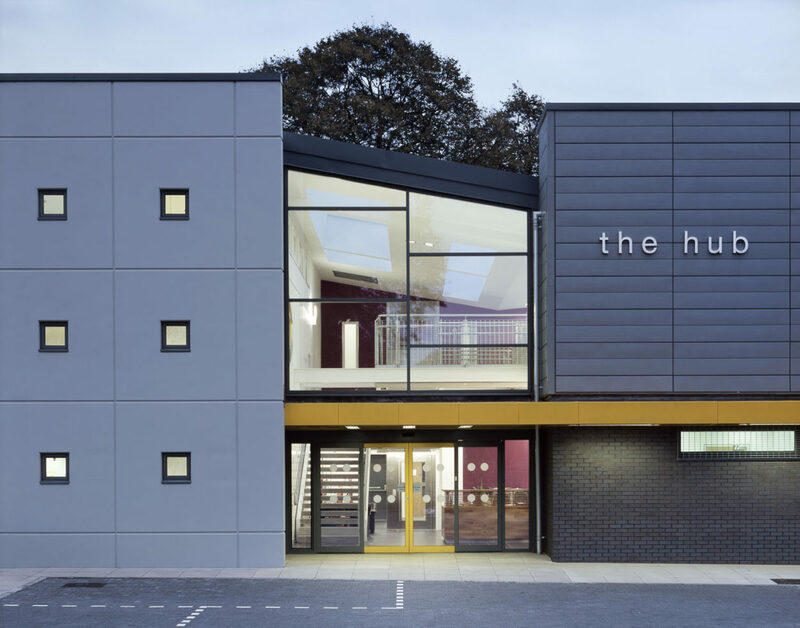 The Hub is a product of the desire by the community at Wellhouse to combine like-minded local organisations under one roof, sharing facilities, knowledge and costs. 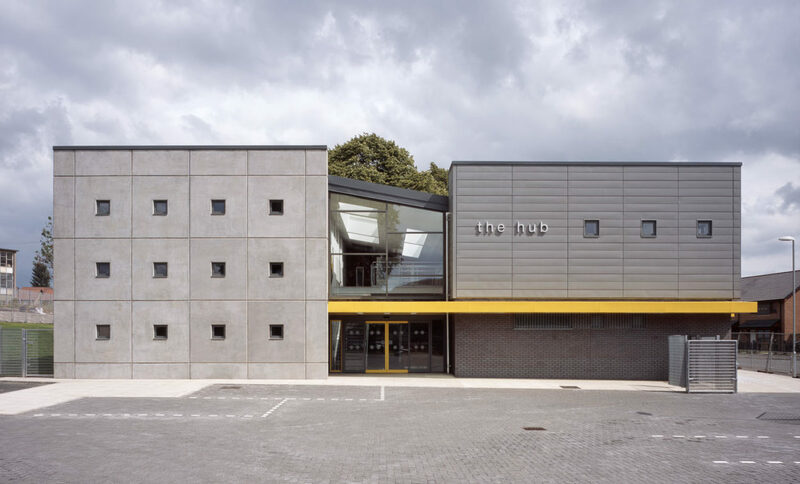 The building consists of three main functional spaces positioned around, and accessed from a busy central glazed atrium, providing reception, circulation, activity and informal meeting spaces. The form is largely driven by internal function, where high quality and durable material usage externally expresses the function of each internal space, each having its own unique visual character. 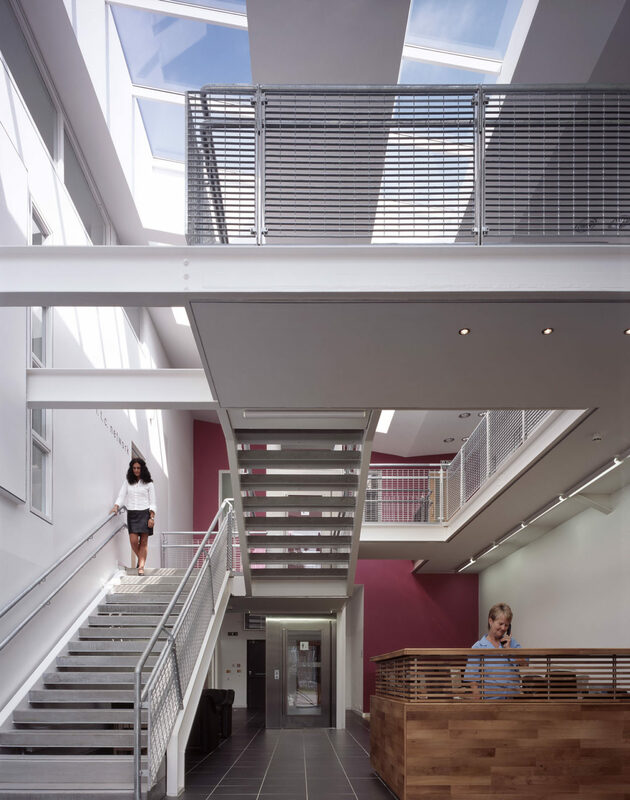 The orientation and position of glazing maximises day lighting, concentrated from the atrium outwards. 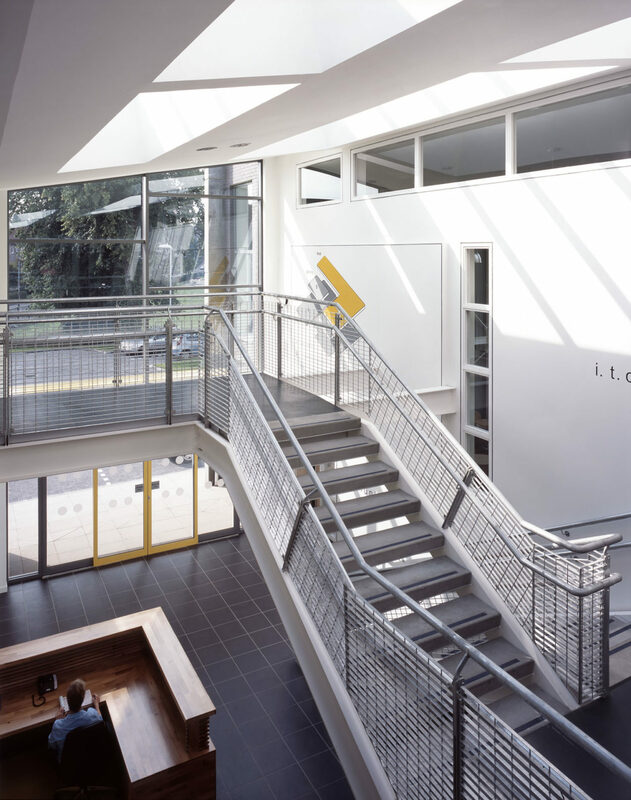 Combined with mass concrete walls this allows the entire building to naturally ventilate, resulting in heating and cooling climate control without the requirement and expense of air-conditioning. 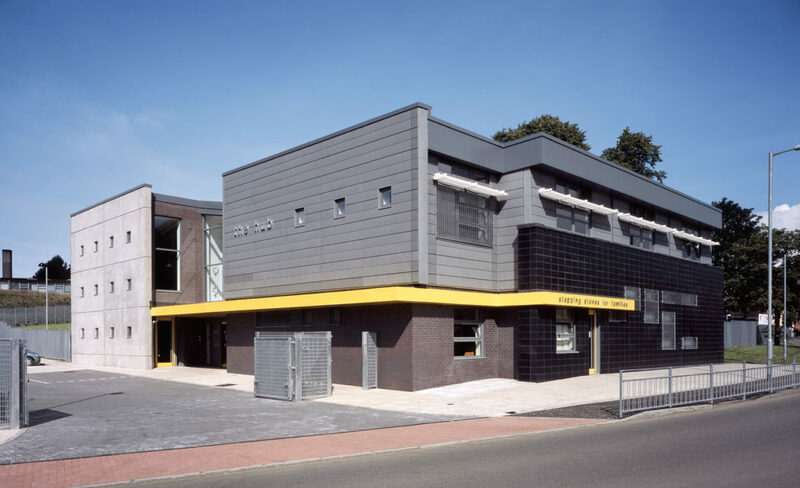 This focal building is designed around a specific client brief to provide modern office space for Wellhouse Housing Association and the GHA, with rentable and floating serviced desk spaces for various other local organisations. 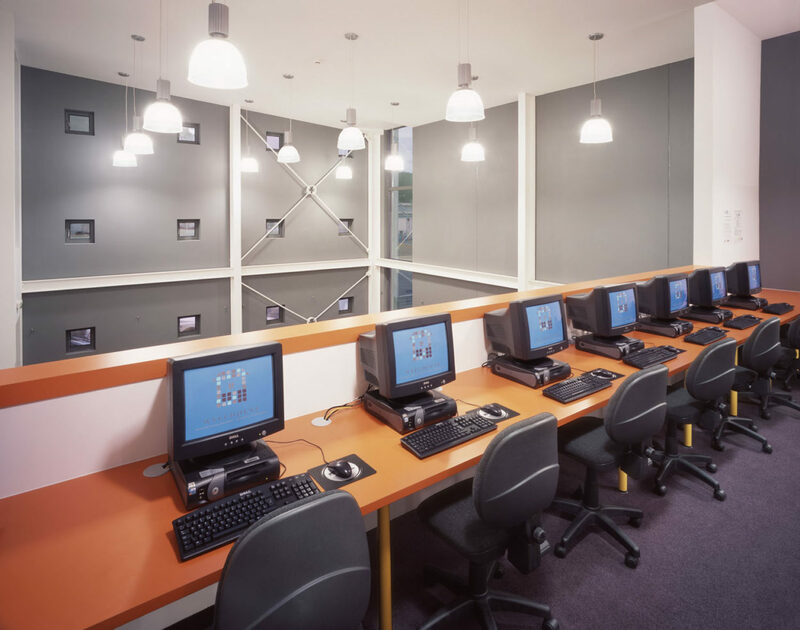 A fully equipped IT suite serves as a satellite learning facility to John Wheatley College while a crèche provides an enjoyable and safe play and learning environment for 18 local children. 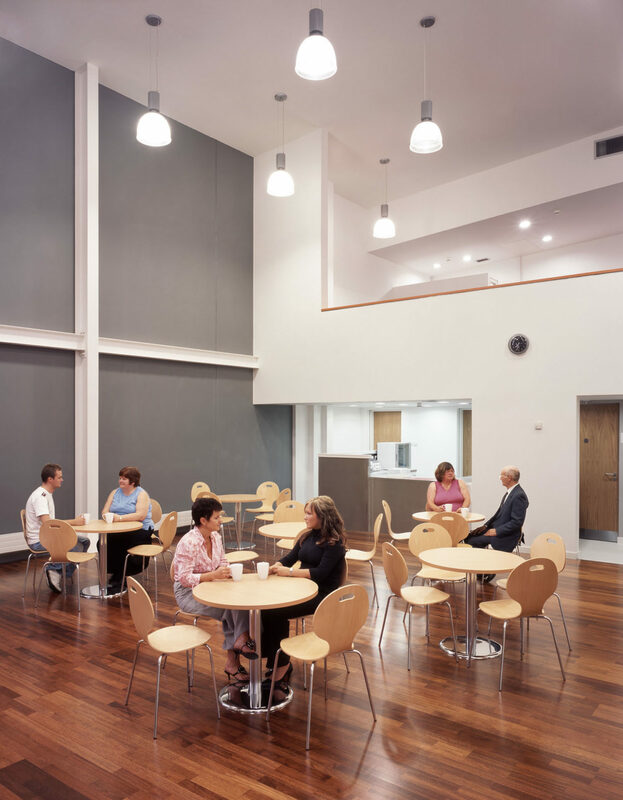 The multi-functional hall provides a drop -in café and function space for local residents adaptable for conferences, cinema showing or informal gathering.